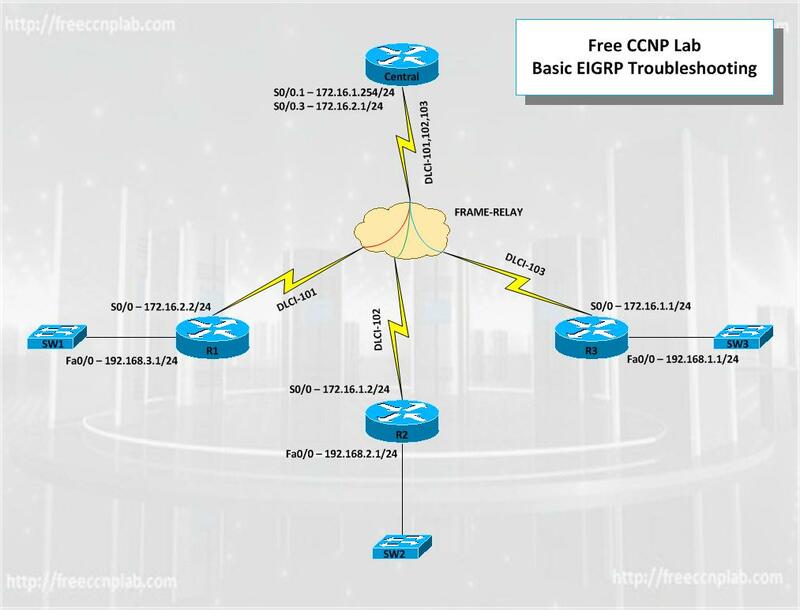 In this Free CCNP Lab we will learn to do basic troubleshooting of EIGRP using the preconfigured GNS3 Scenario included in the download. This scenario has 4 routers connected via Frame-Relay in a hub and spoke topology using sub-interfaces. You will use commands lake show ip interfaces, show frame-relay pvc, show ip eigrp neighbors, and show ip eigrp topology to diagnose the problem and erect repairs to insure full connectivity.